We are excited to introduce something new and exciting to our blog! We will be featuring an interview with one of our past real brides every month including pictures of the dress and their big day. We will be asking all sorts of questions in regards to the dress, the venue and even honeymoon ideas. So if there is anything in particular you would like for us to ask feel free to comment below! Our first real bride is the gorgeous Candice. As you will read below, we were fortunate enough to have met Candice when she came in for her formal fabric. More than 10 years on, we were absolutely delighted to see her back, but now for her wedding dress! 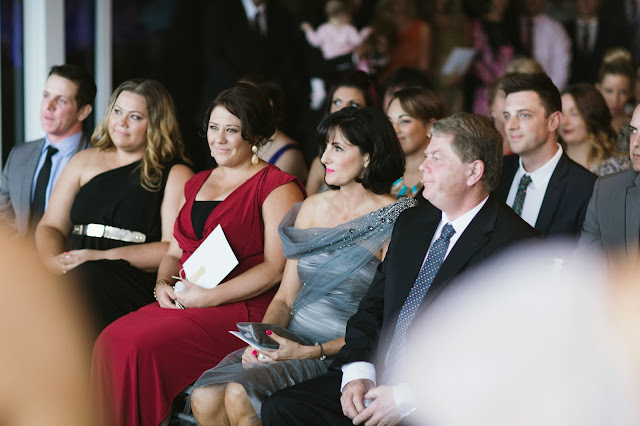 It was also an absolute pleasure to help Candice with her beautiful bridesmaids and her mother Pam's outfit. 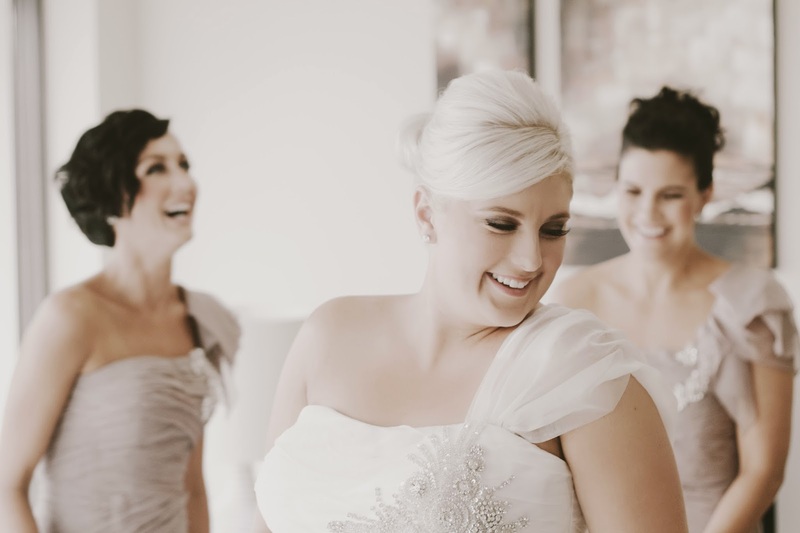 Here is the interview we had with Candice and some beautiful pictures of her big day taken by Van Middleton photography. I first heard about Selective Fine Fabrics 11 years ago when I purchases my year 12 formal material. Walking into SFF Anna greeted us with the biggest smile and 11 years on walking into the store ,Anna still remembered my mum and I and still had that infectious smile. I only had an idea in my head of what I thought I wanted. I knew I wanted “bling” and I had a fair idea of what style/fabric/colour. After 5 minutes of being in store at SFF and seeing their amazing bridal range, I knew I was in the right place. After playing with fabrics and beading with Melissa, I was lucky enough to be introduced by Anna to a dress maker who was in store at the time. After meeting with Svetlana and having Melissa’s great design/colour knowledge my dream dress was coming to life on paper. I left that day with my bridal & bridesmaids material and it only took 2 hours! I knew I was never going to be a typical bride who would find her dress off the rack BUT I also wanted to do the “bridey” thing and try on wedding dresses. Trying on dresses was a great way for me to see what style suited my body shape and what didn't so I knew exactly what I wanted to get made. Choosing your wedding dress is such a personal thing. If you are a bride who loves something different I would 100% recommend having your dress made. 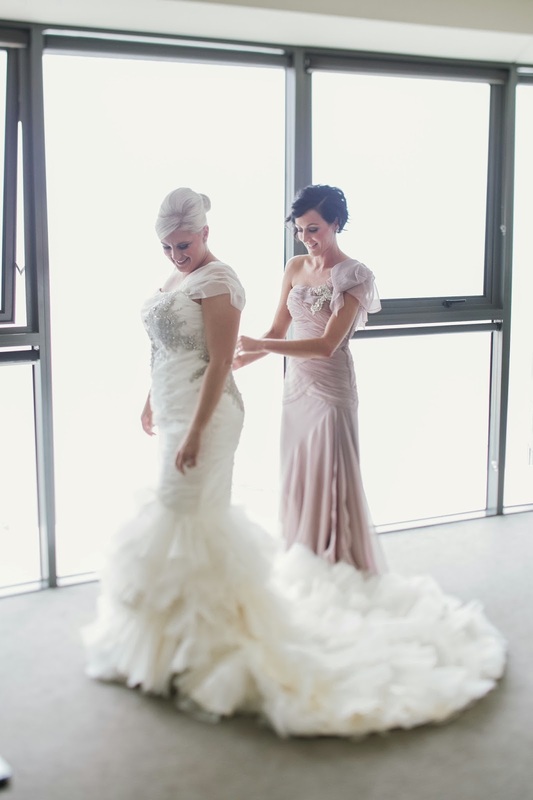 The most satisfying experience a bride could have in the preparation for her wedding. The team at SFF helped me create a dress that I would not of found anywhere in the world. I still pull my dress out of the cupboard and hold it up to the light just to see it glisten in the sun. If you’re looking for something different there is no other fabric store in Australia that holds the key to an amazing outfit. SFF's extensive range of fabric & colours makes for your perfect outfit. The team at SFF take time to drape different colours and fabrics on you to give you an idea of what you can create with different style and colour. 6. 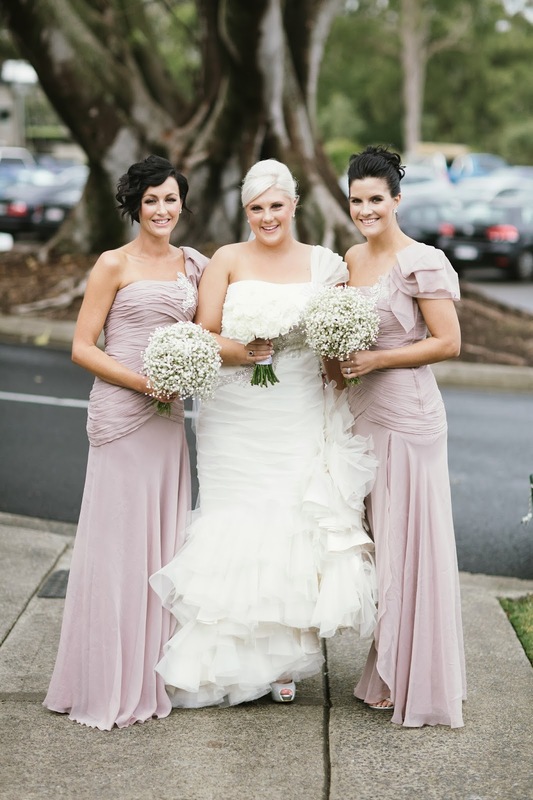 Did you always want to get your bridesmaid dresses made to measure as well? Again, I knew I wanted something different and amazing for my bridesmaids. I was sick of seeing the same style bridesmaid’s dresses. After searching the internet I found a picture of something I liked. 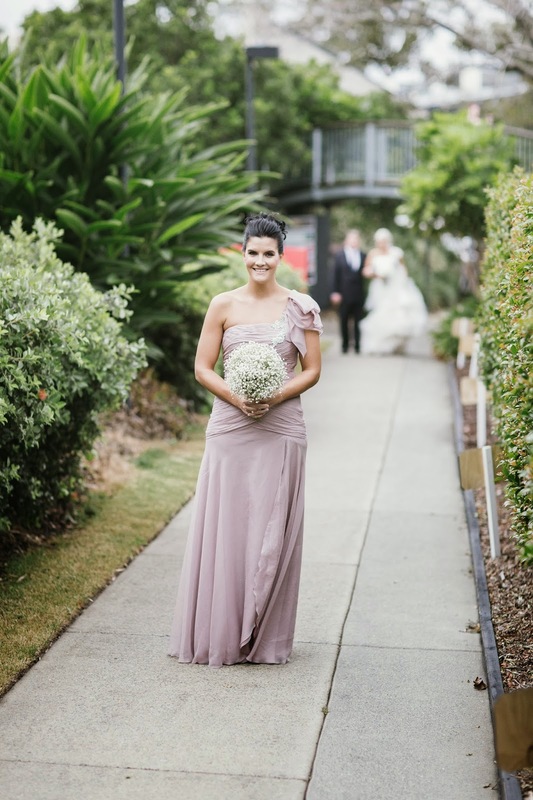 I showed Melissa & Svetlana the style of the dress and straight away they chose an amazing colour & fabric which was just gorgeous and complimented my wedding dress and theme beautifully. 7. Where did you have your wedding reception? 8. Did you have a wedding theme? I had a modern vintage theme. 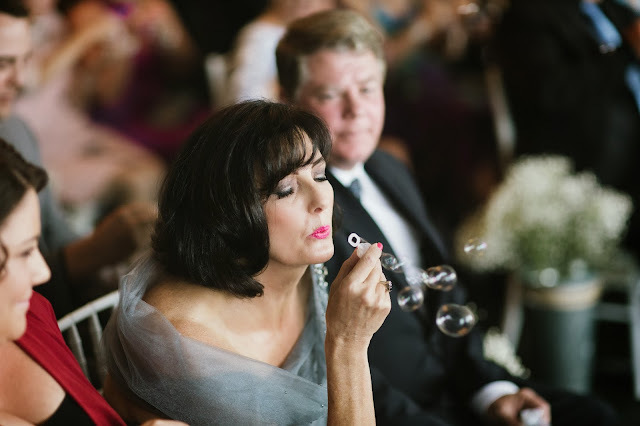 I wanted the elegance of white wedding with a touch of vintage. I brought the vintage theme in with tin pails with baby’s breath and a chalk board guest seating chart. .
9. Where did you choose to go for your honeymoon? My husband and I chose to go to Fiji for our honeymoon. My husband travels long hours for his work so didn’t want to travel for hours but still wanted and island holiday. We spent 7 nights at the Sheraton Resort on Denarau Island. It was fantastic. On our last day Ben surprised me with a private boat charter to a private island in the middle of the ocean. It was a Perfect way to end our honeymoon. 10. 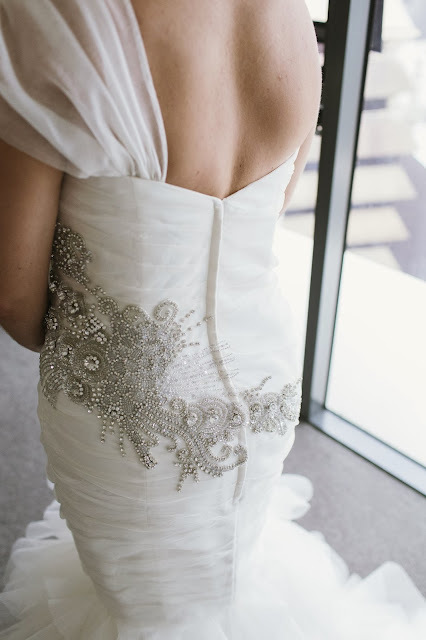 What would be the best advice you would give to any future brides? Planning our wedding was so stress free. I had the most amazing people working with me to create our day. My advice is to find a team of people who you connect with. Give yourself time to plan and once you have made a decision don’t go back on it. It’s such a fun time in your life so don’t sweat the small stuff. 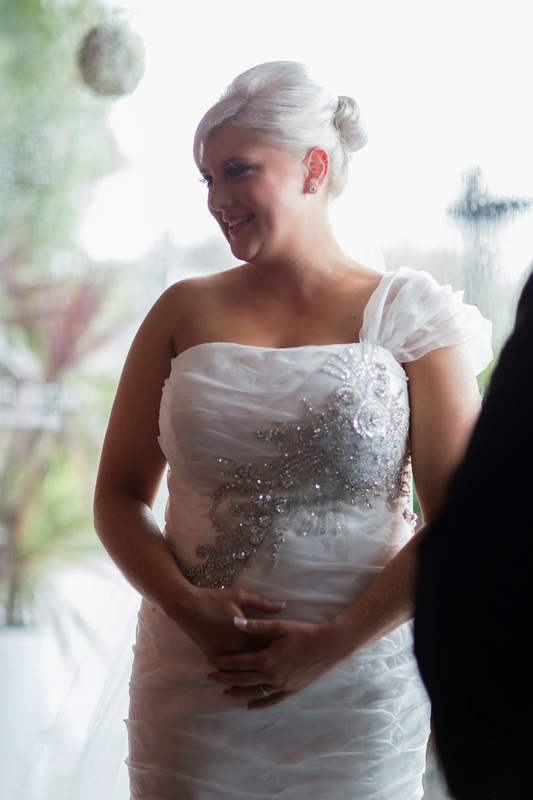 Pam's Mother of Bride outfit- Silk, tulle and exclusive crystal motif.